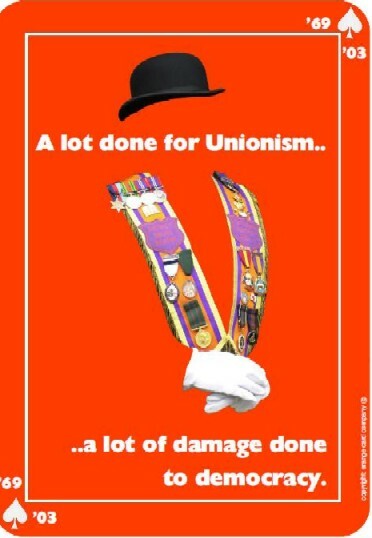 A 2003 leaflet from Sinn Fein accusing Unionists of playing “The Orange Card”. 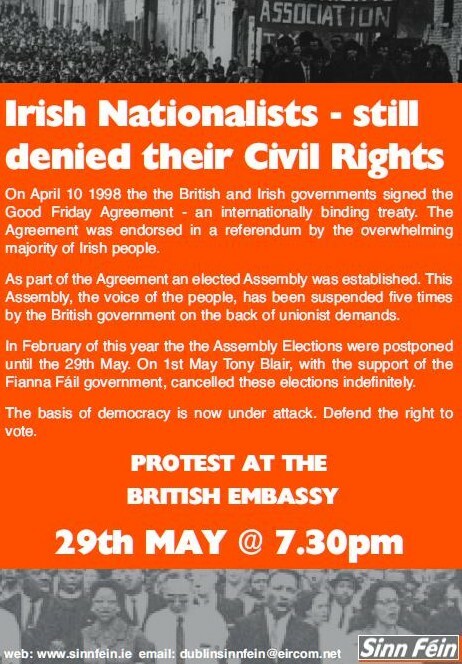 It was 5 years on from the Good Friday Agreement and the Assembly Elections were postponed and then canceled. The Leaflet advertises a protest against the canceling of the Elections.